Managing to Lose: Was Tired Tito Asleep at the Wheel? Was Francona Too Wrapped Up in Manny's Attack on Jack? How'd Tek Do in that All-Star Vote? Did Road Sox Nation Let the Team Down in Tampa Bay? 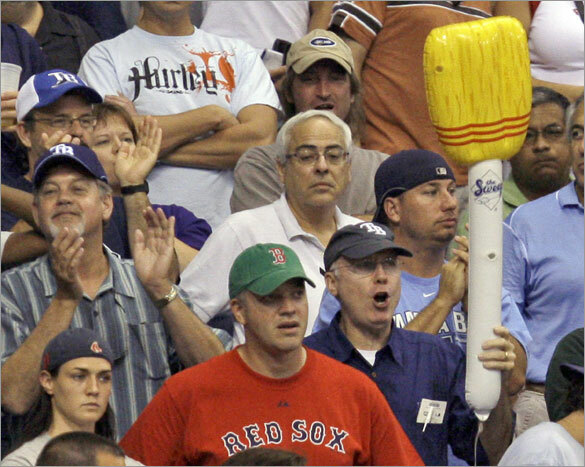 Were There Really More Rays Fans Than Sox Fans at the Trop Last Night? What's Next? Will Yankee Fans Take Over the Stadium? Drew's Just 262,802 Votes Out of OF Spot: No Time Left to Vote for J.D. & Co. Slap on the Wrist for Manny? Francona was reluctant to talk specifics of how the altercation transpired, nor would he comment on any specific action taken in the wake of the incident. Francona said a number of people could be involved in making a decision on how to handle these types of incidents. 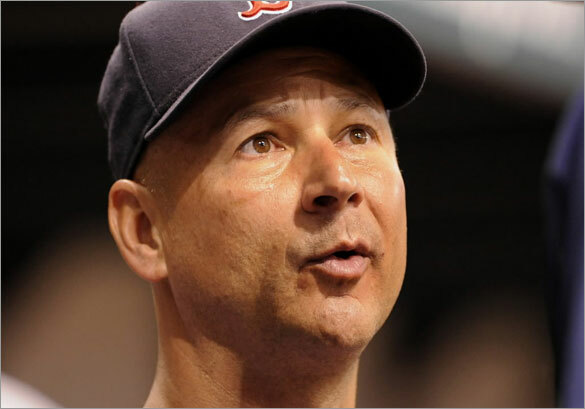 Francona admitted it�s frustrating for him when clubhouse issues get leaked to the media. �Yeah it actually is [frustrating],� Francona said. �And that doesn�t mean that something that was wrong shouldn�t have happened but good teams handle those types of things. Not that you don�t make mistakes but how you handle the mistakes and move forward is important. Now, our players in Houston, with the way things get out sometimes, is uncontrollable and it�s not the players fault. There�s a lot of people in that clubhouse, a lot of kids that work in that clubhouse that run to people. That�s just the way it goes. That�s the day and age we�re in so we deal with that. It doesn�t make what happened right. It means you�re gonna have to deal with it a little differently because there�s a lot of information getting out there, not all of it�s correct. Sometimes people don�t care if it�s correct. 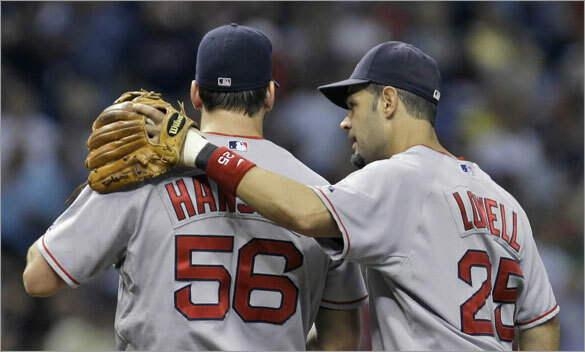 Kevin Cullan, Boston Globe, 7.3.08: �The Red Sox have become one of the richest franchises in sports by selling the idea that they are different, more special, than other teams. 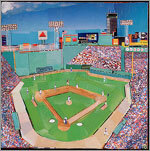 And we bought it, because implicit in the deal is that we are different, that we are special: Fenway Park is unique; being a Red Sox fan is not a lifestyle choice, but an orientation. But there is a fine line between being special and being insufferably arrogant, and Manny has crossed it.